On the 1st (Fri), admire all the interesting features of Alcatraz Island, then wander the streets of Fisherman's Wharf, then don't miss a visit to Lombard Street, and finally take in the views from Golden Gate Bridge. On your second day here, engage your brain at Exploratorium and then explore and take pictures at Golden Gate Park. To find more things to do, photos, other places to visit, and more tourist information, use the San Francisco trip itinerary maker tool . Perth, Australia to San Francisco is an approximately 25-hour flight. The time zone changes from Australian Western Standard Time (AWST) to Pacific Standard Time (PST), which is usually a -16 hour difference. May in San Francisco sees daily highs of 24°C and lows of 13°C at night. Finish up your sightseeing early on the 2nd (Sat) so you can travel to Las Vegas. Kick off your visit on the 3rd (Sun): try to win big at Paris Las Vegas, admire the natural beauty at Bellagio Conservatory & Botanical Gardens, then admire the local landmark of Bellagio Fountains, and finally explore the stunning scenery at Red Rock Canyon National Conservation Area. To see traveler tips, where to stay, and other tourist information, go to the Las Vegas trip planner . You can fly from San Francisco to Las Vegas in 4 hours. Another option is to drive. In May, Las Vegas is a bit warmer than San Francisco - with highs of 36°C and lows of 20°C. Finish your sightseeing early on the 3rd (Sun) to allow enough time to travel to Grand Canyon National Park. Kick off your visit on the 4th (Mon): hike along South Kaibab Trail, then take some stellar pictures from Grandview Point, then explore the stunning scenery at Grand Canyon South Rim, and finally explore the stunning scenery at Yavapai Point. On the 5th (Tue), you'll have a packed day of sightseeing: see the interesting displays at Kolb Studio and then trek along Rim Trail. For maps, traveler tips, reviews, and more tourist information, read our Grand Canyon National Park trip planner . You can do a combination of car and flight from Las Vegas to Grand Canyon National Park in 4.5 hours. Other options are to drive; or take a shuttle. The time zone difference when traveling from Las Vegas to Grand Canyon National Park is 1 hour. When traveling from Las Vegas in May, plan for a bit cooler days in Grand Canyon National Park, with highs around 23°C, while nights are cooler with lows around 0°C. Wrap up your sightseeing on the 5th (Tue) to allow time to travel to Memphis. 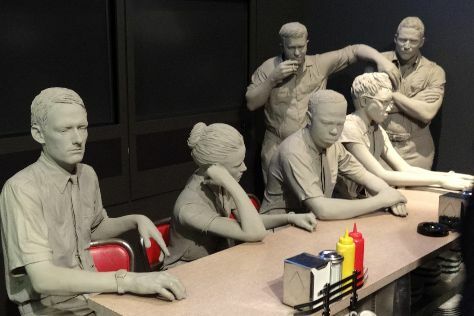 Kick off your visit on the 6th (Wed): don't miss a visit to Graceland and then pause for some photo ops at National Civil Rights Museum - Lorraine Motel. To see more things to do, reviews, ratings, and tourist information, use the Memphis trip itinerary app . You can do a combination of bus and flight from Grand Canyon National Park to Memphis in 10 hours. Another option is to drive. Traveling from Grand Canyon National Park to Memphis, you'll lose 1 hour due to the time zone difference. When traveling from Grand Canyon National Park in May, plan for a bit warmer days and much hotter nights in Memphis: temperatures range from 31°C by day to 19°C at night. Finish your sightseeing early on the 6th (Wed) to allow enough time to travel to Washington DC. 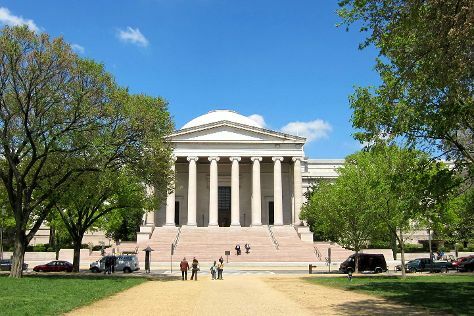 Kick off your visit on the 7th (Thu): explore the world behind art at National Gallery of Art, then see the interesting displays at National Air and Space Museum, and then explore the activities along Tidal Basin. For where to stay, reviews, maps, and more tourist information, read Washington DC trip itinerary builder . Getting from Memphis to Washington DC by flight takes about 5.5 hours. Other options: do a combination of flight and train; or drive. The time zone difference when traveling from Memphis to Washington DC is 1 hour. In May in Washington DC, expect temperatures between 28°C during the day and 17°C at night. Finish your sightseeing early on the 7th (Thu) so you can travel to New York City. On the 8th (Fri), make a trip to 9/11 Memorial and then go for a walk through Central Park. Keep things going the next day: browse the exhibits of The Metropolitan Museum of Art, wander the streets of Times Square, and then take in panoramic vistas at Empire State Building. To see more things to do, reviews, and more tourist information, read New York City route planner . Traveling by flight from Washington DC to New York City takes 3.5 hours. Alternatively, you can take a train; or drive. Expect slightly colder weather when traveling from Washington DC in May: highs in New York City hover around 24°C, while lows dip to 15°C. Finish your sightseeing early on the 9th (Sat) so you can travel to Orlando. 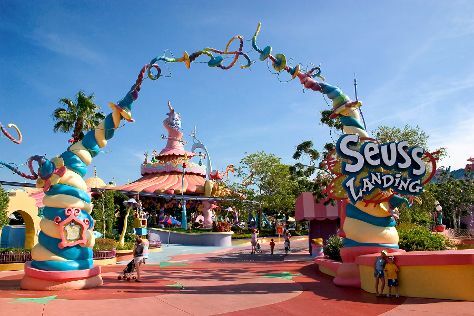 Start off your visit on the 10th (Sun): get in on the family fun at Universal's Islands of Adventure. To see traveler tips, maps, reviews, and more tourist information, read our Orlando road trip planning app . Traveling by flight from New York City to Orlando takes 6 hours. Alternatively, you can do a combination of bus and flight; or drive. Expect somewhat warmer temperatures when traveling from New York City in May; daily highs in Orlando reach 36°C and lows reach 24°C. Finish your sightseeing early on the 10th (Sun) so you can drive to Miami. On the 11th (Mon), examine the collection at Vizcaya Museum and Gardens, then take in nature's colorful creations at Fairchild Tropical Botanic Garden, and then get the lay of the land with Walking tours. To find where to stay, reviews, more things to do, and tourist information, go to the Miami tour itinerary planner. Getting from Orlando to Miami by car takes about 4 hours. Other options: take a bus; or take a train. Expect a daytime high around 36°C in May, and nighttime lows around 27°C. Cap off your sightseeing on the 11th (Mon) early enough to travel to New Orleans. Start off your visit on the 12th (Tue): appreciate the extensive heritage of Garden District, see the interesting displays at The National WWII Museum, and then appreciate the extensive heritage of Jackson Square. For more things to do, photos, where to stay, and more tourist information, refer to the New Orleans trip builder . Getting from Miami to New Orleans by flight takes about 4.5 hours. Other options: do a combination of bus and flight; or drive. The time zone changes from Eastern Standard Time (EST) to Central Standard Time (CST), which is usually a -1 hour difference. While traveling from Miami, expect slightly colder days and about the same nights in New Orleans, ranging from highs of 24°C to lows of 24°C. Finish up your sightseeing early on the 12th (Tue) so you can travel to San Antonio. Start off your visit on the 13th (Wed): admire the architecture and history at Mission San Jose, take in nature's colorful creations at San Antonio Botanical Garden, then steep yourself in history at The Alamo, and finally get a taste of the local shopping with The San Antonio River Walk. To see traveler tips, more things to do, photos, and tourist information, read our San Antonio day trip planning app . Getting from New Orleans to San Antonio by flight takes about 4.5 hours. Other options: do a combination of flight and bus; or drive. When traveling from New Orleans in May, plan for somewhat warmer days and about the same nights in San Antonio: temperatures range from 36°C by day to 22°C at night. 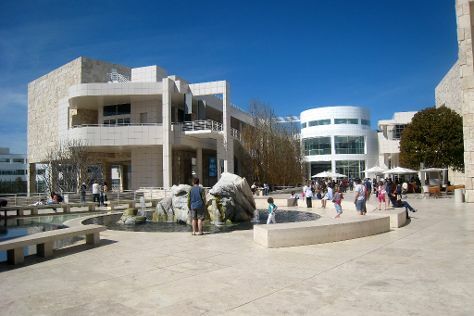 Wrap up your sightseeing on the 13th (Wed) to allow time to travel to Los Angeles. To find photos, reviews, ratings, and other tourist information, you can read our Los Angeles travel route planning app . You can fly from San Antonio to Los Angeles in 5.5 hours. Alternatively, you can do a combination of bus and flight; or drive. Due to the time zone difference, you'll gain 2 hours traveling from San Antonio to Los Angeles. Traveling from San Antonio in May, expect Los Angeles to be little chillier, temps between 28°C and 17°C. Wrap up your sightseeing by early afternoon on the 14th (Thu) to allow enough time to travel back home.